One of the best river front estate parcels in sw florida. This 2. 08 acre jewel features 265 of seawalled river frontage, a 6 wide dock that extends over 325 into the river and a enormous building footprint that will accommodate a riverfront estate like no other. This property offers the ideal setup to plan and build your dream home with all the amenities and features you could only imagine w/plenty of yard space and privacy to go with. Enjoy panoramic open water vistas, mesmerizing sunsets, and boating activity that will captivate you for a lifetime. Once you walk this property from the dock and along the seawalled river frontage you will truly understand and appreciate why this property is considered one of the areas premier waterfront estates. Don't miss the opportunity to own this magnificent custom designed estate, built by carlton-naumann in the highly sought after catalpa cove/sherrill point gated subdivision. This waterfront estate defines the true essence of paradise. The elegant design and unparalleled quality are showcased throughout the home. Highlighted by the custom designed kitchen with gas stove and a gorgeous master bedroom with gas fireplace, sitting area with bay windows, his/hers walk-in closets, and stunning bath area. This expansive floor plan also features a private elevator, 5 bedrooms, 5. 5 baths, over 6,000 sq ft of total living space, impact windows/doors, tray ceilings, custom crown molding and lighting, generator, outdoor kitchen, 4 car garage,cabana room, built-in cabinets, and finished lower level. The majestic florida sunsets and spectacular river views can be enjoyed while relaxing on the covered verandahs or roof top terrace. The spacious sundeck surrounds the heated pool and spa that's just a few steps from the private boat dock with electric lift. 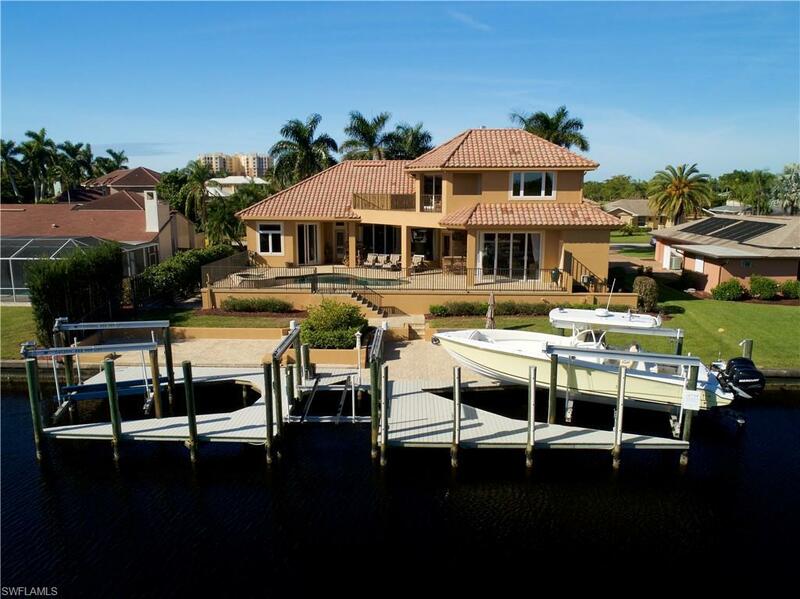 Take a quick boat ride down the canal to the caloosahatchee river where you are minutes to the gulf of mexico, sanibel, and fort myers beaches. 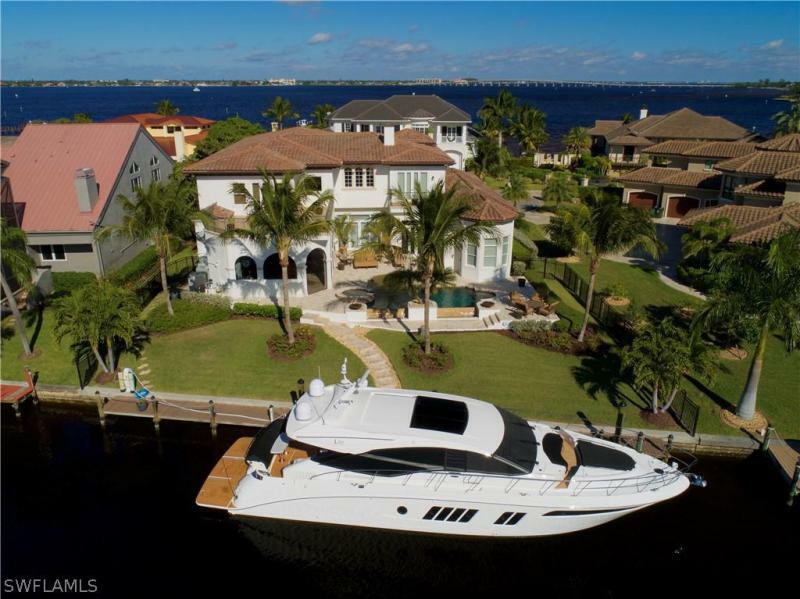 L. 2058 - welcome to palmetto point one of the most desirable boating communities in sw florida. Huge 1/2 acre pie shaped homesite with 110 foot cement floating dock. The canal is 116 feet wide and the property allows for large boat dockage ~ beautiful unobstructed views of the waterway and preserve! 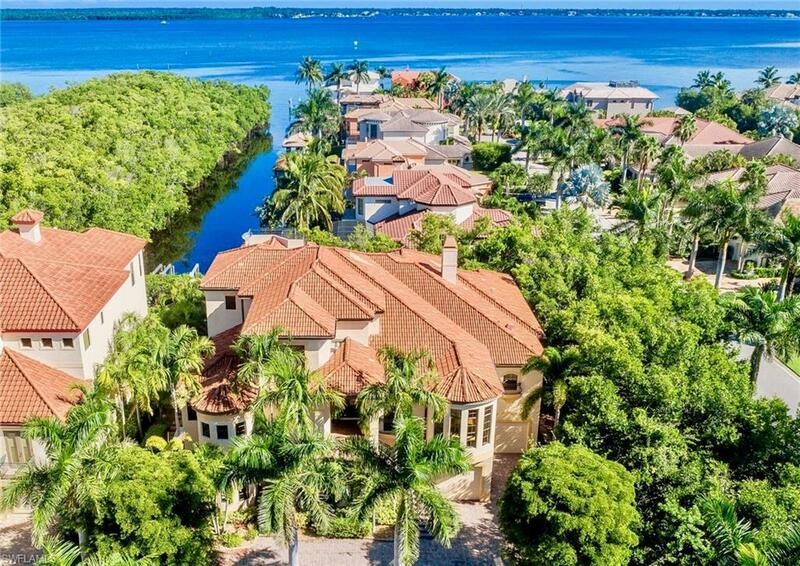 Enjoy watching dolphins and manatees play from this incredible deep - waterfront home site. Palmetto point offers luxurious waterfront living, grand estate homes and deep-water direct access to the gulf of mexico. Incredible preserve and intersecting canal views. The homes site features a cement floating dock and end of cul-de-sac location. This community is approx 4 nautical miles to the gulf of mexico. Next door to gulf harbour yacht and cc memberships are available to palmetto point residents: golf, fitness, tennis, spa, 2 resturants and an island park! By land this home is 10 minutes to the sandy beaches of sanibel island and ft myers beach. By land or by sea ~ you will enjoy the location.